UK’s based CompareMyMobile is the “#1 Trusted gadget recycling comparison site,” and they compile information and determine where the customer’s trends are when it comes to upgrading to a new device. For instance, earlier this week, they informed us that the largest group purchasing the new Samsung Galaxy S5 is current iPhone users. This particular survey is looking into the buying habits of those customers that purchased the new HTC One M8 – who bought it and where did these buyers all come from? When a new smartphone is released, there are always many questions asked – and I am not talking about the potential buyers – I am referring to the manufacturer of the device…and in this case, we are talking about the new HTC One M8. The first question is how many devices were actually sold, however, that information has not yet been released. The second question is who is upgrading to the HTC One M8 – are the buyers current HTC customers (Brand Loyalty) or are we ‘stealing’ customers away from other brands – both scenarios are great for HTC. You definitely want and need that brand loyalty, but you also want to attract new customers away from your competitors. In answer to the second question, there is a strong HTC loyalty among their current customers as 46.18-percent of the HTC One M8 upgraders were trading in an old HTC device – in fact, 13.24-percent of all people upgrading to the M8 were trading in their original HTC One M7! This means that over a half of all people upgrading to the HTC One M8 already owned a HTC device, which shows tremendous brand loyalty. The study also suggests that 23.74-percent of HTC One M8 upgraders were trading in an old Apple device and that 21.29-percent were trading in a Samsung device. Whereas their Samsung Galaxy S5 survey showed that over a third of those upgrading to the Galaxy S5 were previous iPhone users, this survey shows that while HTC is attracting some previous Samsung and Apple users away from their respective ‘flocks,’ the HTC One M8 is attracting loyal HTC users. The brand loyalty is amazing and I am sure it is appreciated by HTC, but the fact that over 40-percent of the HTC One M8 upgraders were coming from Apple and Samsung, had to be particularly satisfying to HTC. Just as a note to remember – this is only from the first month of upgrades, is also a relatively small sample and may not even include many users in the U.S., as this is a UK site. However, it is nice to see the strength and loyalty of HTC customers and from we have seen so far, the HTC One M8 is helping to make the HTC loyalty even stronger. Please let us know on our Google+ Page if you are a loyal HTC customer and why, and have you upgraded to the new HTC One M8…as always, we would love to hear from you. 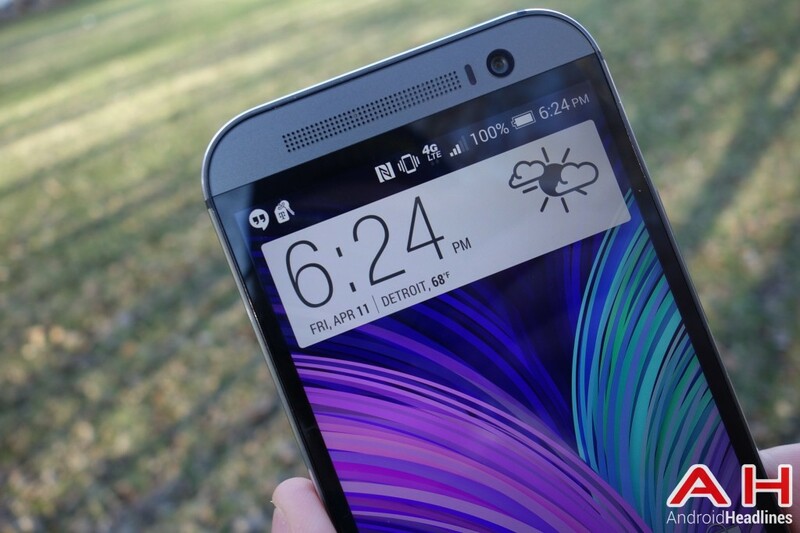 The post HTC One M8 Buyers Are Mostly Repeats, Draws Some Apple & Samsung Users appeared first on AndroidHeadlines.com |.